Eating a donut or other pastry for breakfast results in a high blood sugar spike. The blood sugar spike may give you a burst of energy, but it will quickly wear off, leaving you hungry and lacking energy. Donuts and pastries contain refined sugar, which does not keep you full until your next meal. Also, sugary pastries have little fiber or protein content, and these are important nutrients for satisfying your hunger and keeping you energized and feeling full until lunchtime. Oatmeal or whole-grain cereals are more nutritious breakfast choices that do not contain as much added sugar. Frozen breakfast sandwiches are quick and convenient, but they are often high in saturated fat and sodium, which may leave you feeling sluggish and bloated. Hyman says that most processed and packaged foods lack fiber and protein, so you will be unable to feel full until lunchtime and may end up consuming unhealthy snacks as a way to boost your energy and stave off hunger. Frozen breakfast sandwiches also lack vegetables and fruit, which can provide a good deal of fiber to help energize your morning. Try making your own sandwich as an alternative. Use whole-grain bread and low-fat cheese as additions to your egg. 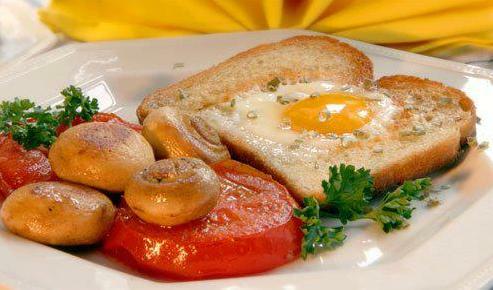 Include tomato slices or salsa in order to get a vegetable into your breakfast.